This week my awesome friends at work took me out to lunch for my birthday. I emailed them all this Thank you card that I got for free at Shutterfly. 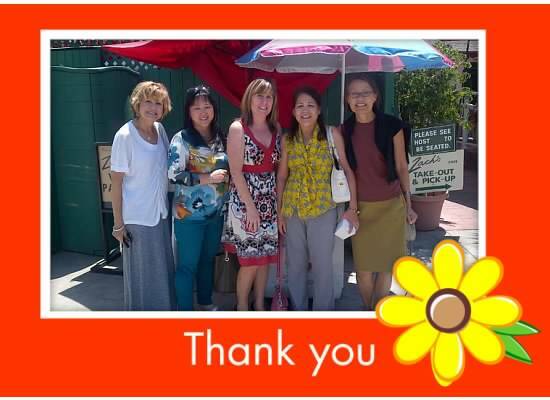 I just loaded the photo to “my pictures” and edited it to include the “Thank you” border. There are several choices, but I picked this summery one. Then I copy pasted it into my email. I’m the one in the center.